For this aged care facility project Latitude Town Planning Services Pty Ltd worked closely with the client from concept through to completion. This commenced with investigations into the feasibility of developing residential allotments to facilitate the extension of an existing aged care facility which had outgrown the land area available. This was important as the facility is within a local community which has a growing demand for aged care accommodation. We initially reviewed the relevant proposed use against the relevant Redcliffe City Planning Scheme 2005 and then, working with a draftsman, applied a concept design to the subject allotments which were being considered for purchase by our client. This process provided an indication of the land area which would be required to achieve the proposed outcome of an additional 40 beds for this aged care facility. Once the concept design reached a point where the feasibility of the development (Material Change of Use for Extension to Existing Aged Care Facility ) could be determined more definitively a pre-lodgement meeting was held with Moreton Bay Regional Council to discuss the proposal and minor matters that had to be dealt with as part of preparing and lodging a development application. The benefit of having a pre-lodgement meeting is that Council can provide initial feedback on a development before proceeding any further, and in addition a copy of meeting minutes are provided to act as a guide in the preparation and lodgement of the development application. Following the pre-lodgement meeting our client had additional assurances of what was required to proceed with the development, and as a consequence we worked with other third party consultants (engineers, designers etc) to prepare the development application. Upon completion of this the application was lodged and ultimately approved for development by Moreton Bay Regional Council. 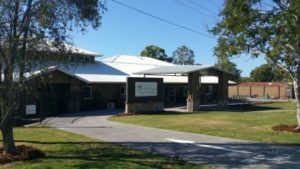 The Decision to approve this Material Change of Use for extension to an Aged Care Facility was made by Moreton Bay Regional Council on 22 September 2014.